According to the Internet, just about any engine can be swapped into just about any car on just about any weekend. Maybe it’s no coincidence that the Internet is also clogged with uncompleted swaps for sale. 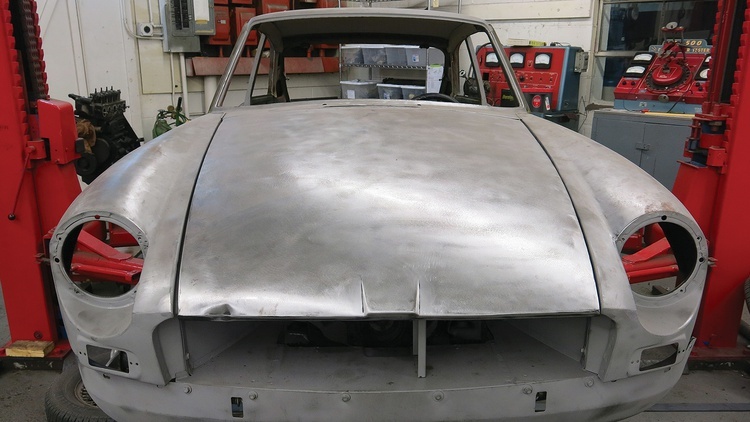 These transplant operations aren’t easy, but proper planning and fabrication can separate a cool, running project from garage art on permanent exhibit. The right throttle linkages, ample cooling systems and functioning fuel delivery may not sound as exciting as the promise of a weekend swap, but these kinds of details will lead to a drivable car. Instead of shoving a bigger, badder engine into a Miata, we’re going to upgrade a classic 1967 MGB GT with Miata power. 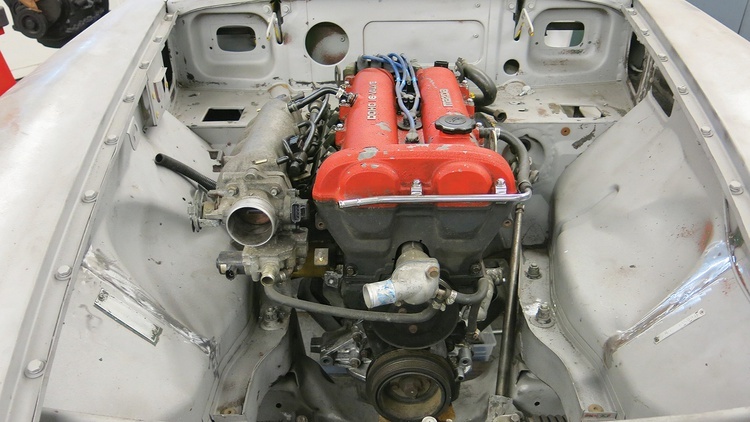 Why did we decide to swap a Miata’s inline-four engine into an MGB instead of a V8 or V6? Well, first of all, we thought the Miata twin-cam better fit the spirit of the car. After all, the MGB was one of the inspirations for the Miata, and MG had experimented with twin-overhead cams in the MGA. 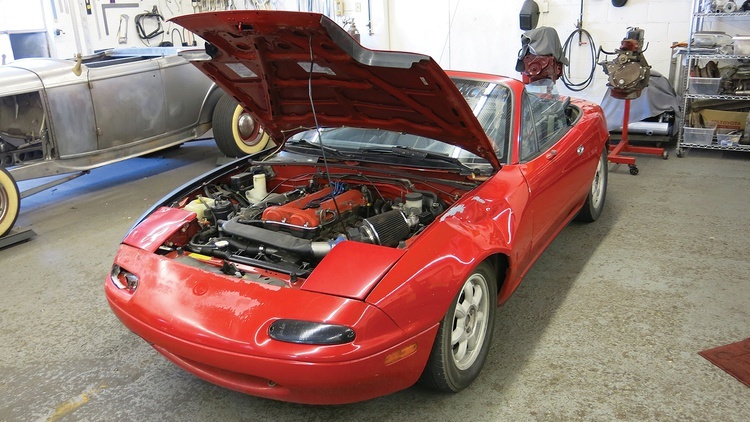 More importantly, the Miata engine simply has some great attributes: It’s robust, makes good power in stock form, has great aftermarket support, and can be had for very reasonable money. Further, it’s mated to one of the nicest five-speed gearboxes ever made–and has gearbox ratios similar to those found in an overdrive-equipped MGB. Finally, we wanted this one to have fuel injection, something many MGB V8 and V6 swaps lack. 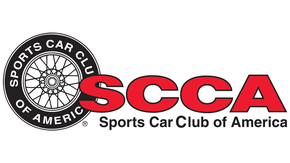 We knew it wouldn’t be too hard to use the stock Miata engine wiring and ECU for the swap. We bought a very beat-up 1994 Miata for a donor. 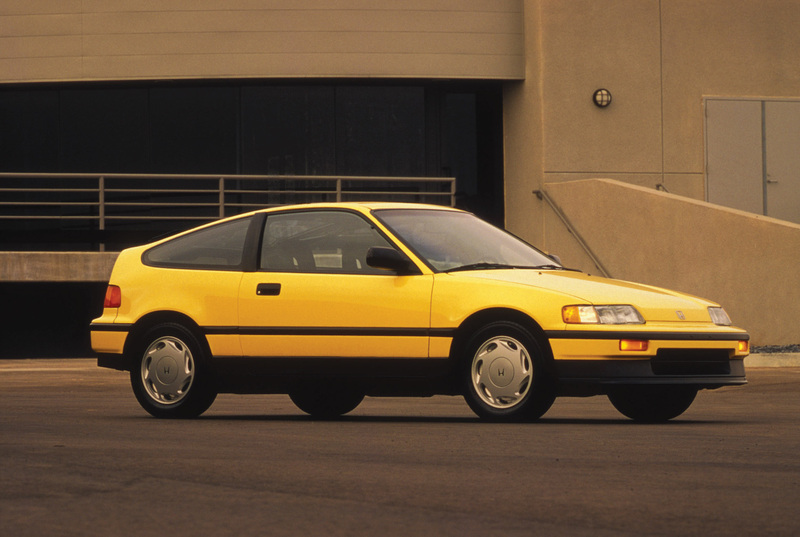 Though we could have pieced the swap together from junkyard and Craigslist parts, we’ve found that starting with a complete car is usually the easiest and most cost-effective approach. We can typically part out the car’s remains to recoup most or all of its purchase price. 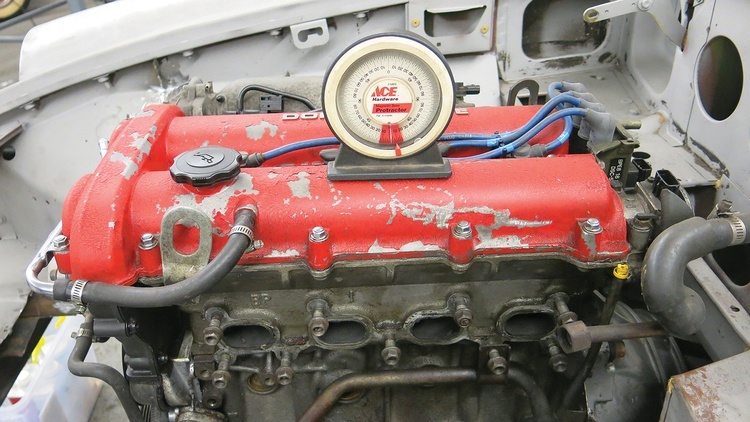 Another reason we chose the Miata twin-cam is that its power curve is a nice fit for the car. 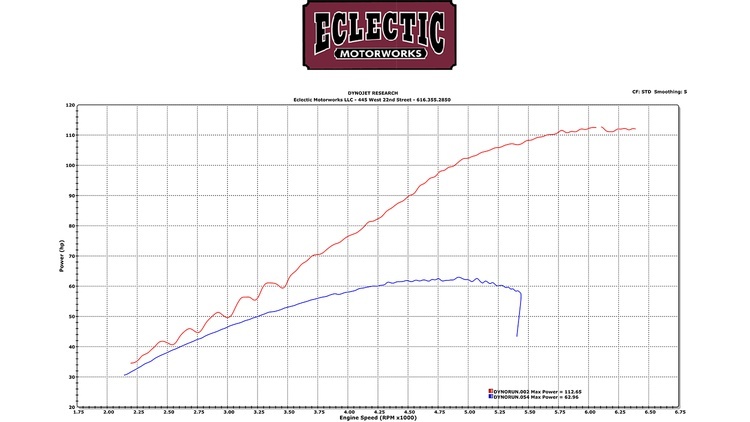 As the dyno graph shows, the stock 1.8-liter MGB engine makes roughly the same amount of power as the Miata engine until about 3500 rpm. That’s when the Miata engine’s breathing gets better and its curve starts rising much faster than the MGB’s. It also has nearly 2000 more usable rpm at the top end. Sure, other swaps can make more power, but the 1.8-liter Miata engine offers plenty and is still docile enough that other driveline modifications aren’t necessary to handle the power and keep the tires planted. We pulled the engine, gearbox, wiring harness and ECU from the Miata. The clutch master cylinder, throttle cable and driveshaft would come in handy later, so we set them aside. We decided not to part out anything from the engine bay until we were finished with the transplant. 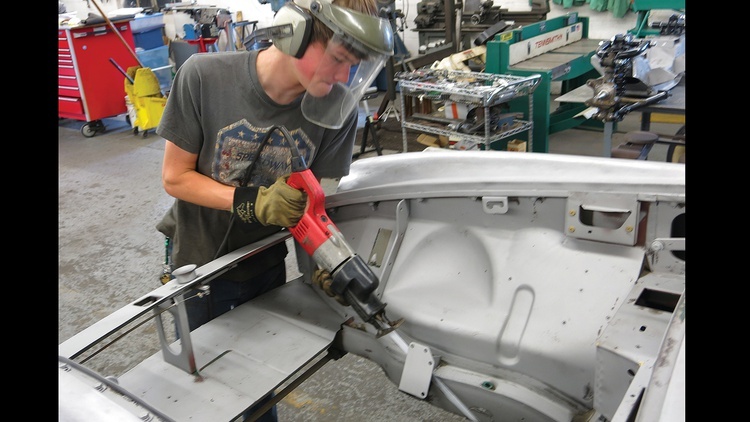 We prefer our swaps to be single-donor as much as possible, so we’ll source most of our brackets, mounts, clips or other sundries from this car. Some time with a tape measure told us that our MGB was going to need some initial surgery before we could set the Miata engine in place. 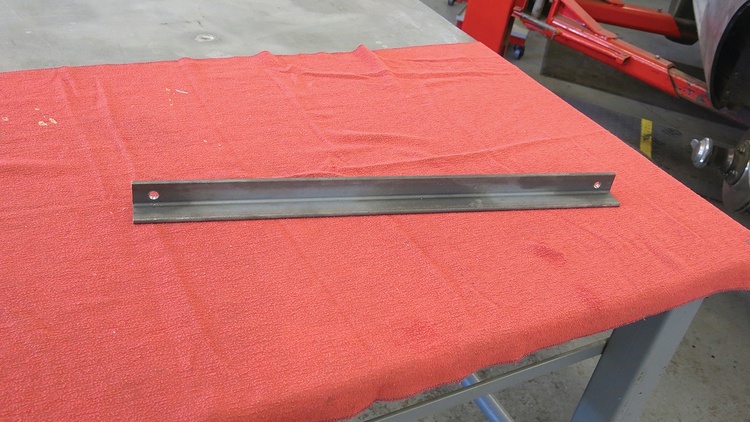 We used a reciprocating saw to quickly cut off the factory engine mounts, then followed with a cutoff wheel and grinder to make it look like the mounts were never there. To fit this later radiator setup, we just had to cut down the radiator duct panel. We cut it back with a cutoff wheel in a die grinder. Later we’ll finish it off with a new end cap. We’ve done this swap before, so we knew that the Miata oil pan would be too deep for our car’s stock crossmember. 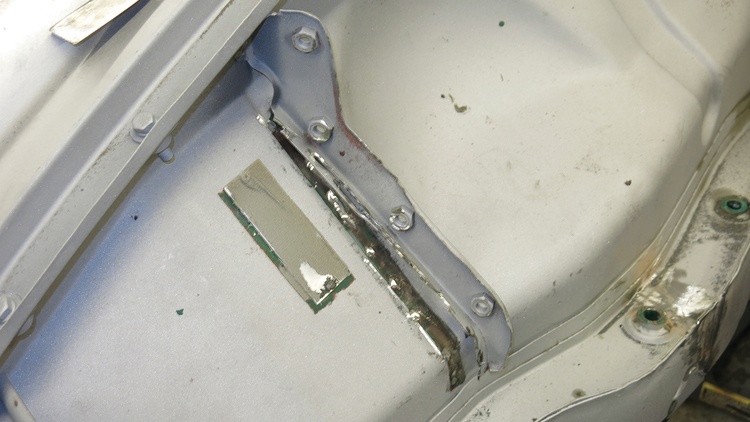 For the pan to clear it, the crossmember would have to be notched. We also knew that either the front pulley would need to be cut down or the steering rack moved–again, another crossmember issue. We’ve made these modifications in the past, but this time we opted to create the necessary clearance with factory parts. 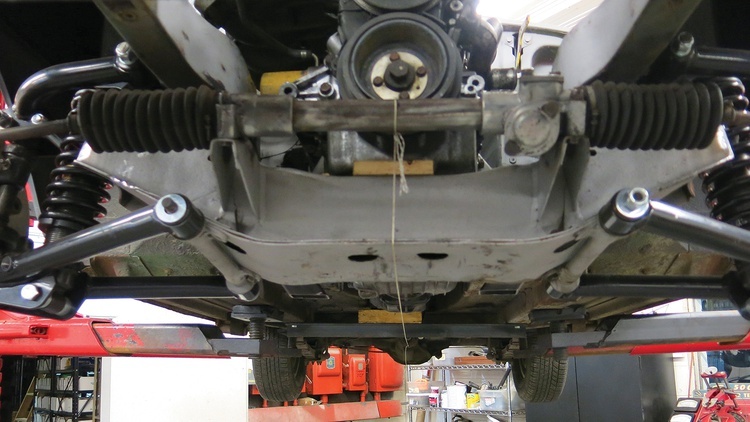 The later crossmember used on the rubber-bumper MGBs offers more clearance for the oil pan, front pulley and steering rack. Nothing comes without compromise, though, and this crossmember is no exception: It raises the ride height. 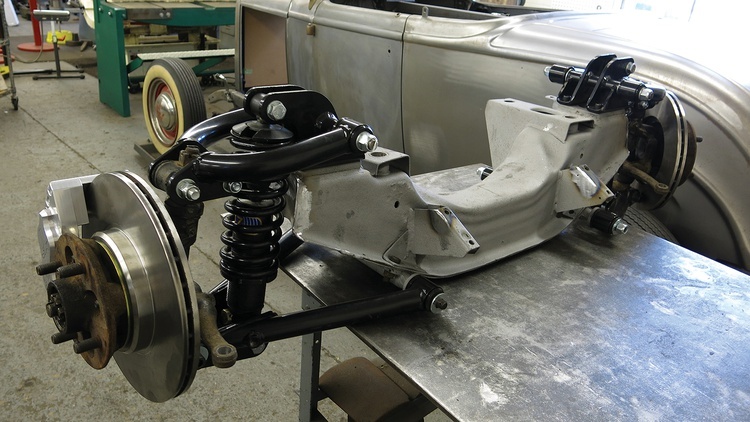 Still, we’d rather lower the ride height with suspension modifications than modify the original crossmember. Now that we had the right amount of room in the engine bay, we lowered in the Miata engine and gearbox for the first test fitting. We wanted about half an inch of clearance between the oil pan and the crossmember, so we set the engine on a half-inch piece of plywood. To hold the rear of the driveline, we made a temporary gearbox crossmember by replacing the stock part with a piece of angle iron. Now that the engine was roughly placed in its new home, we started to plan its exact location. For a reference point, we strung a line through the car’s centerline. Since the MGB gearbox tunnel is not symmetrical, we ended up with the engine slightly offset toward the passenger side of the car. Off-center is acceptable, but crooked is a different story: The driveshaft’s U-joints need to be parallel to each other to operate properly. We used our line to make sure the engine was positioned properly, with the rear gearbox flange parallel to the differential flange. The MGB engine sits at a 3-degree angle, and we wanted to duplicate that with our Miata engine. This would retain the original pinion angle and ensure that the U-joints work on parallel planes. To accomplish this, first we shimmed the car to make sure it was level. Then we shimmed the engine and transmission to be level side-to-side and slope 3 degrees front to back. To help with weight distribution, we wanted to set the engine as low and as far back in the chassis as possible. We also wanted to keep the shifter close to its original location and avoid cutting the heater shelf –the underhood support that holds the heater unit. 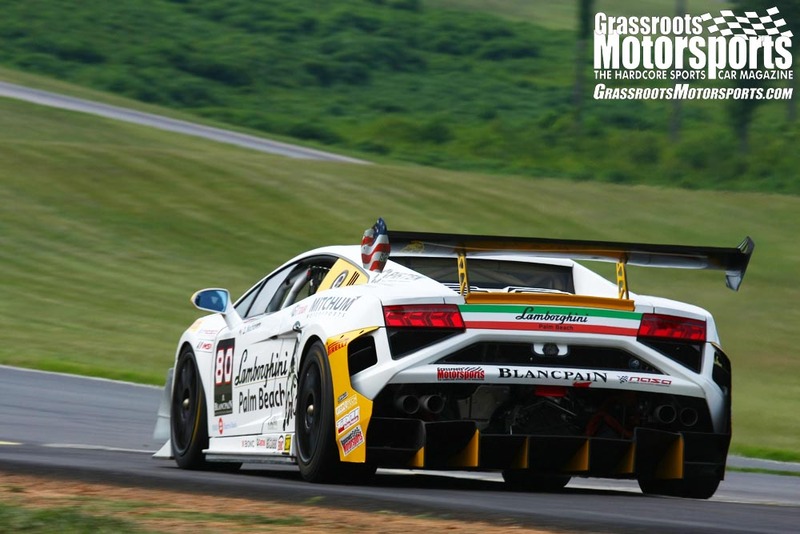 We maneuvered the engine and gearbox to a position that nearly met these goals. 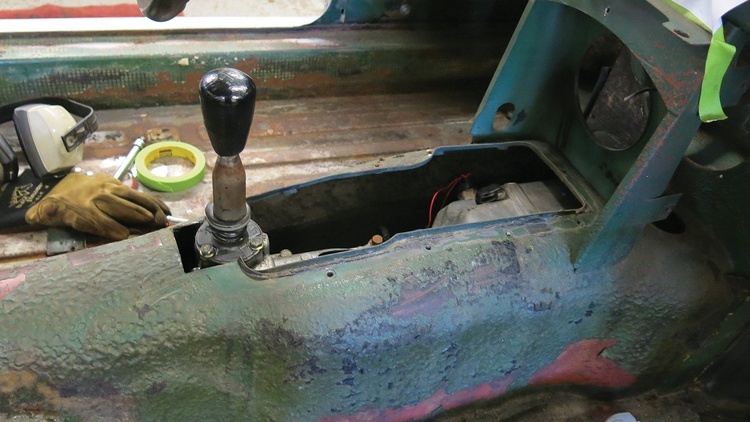 However, we couldn’t line up the Miata shifter with the hole for the original. We had two options: Cut the tunnel or modify the shifter itself. We chose to cut the tunnel since this car isn’t going to have a center console. If it were, we’d have to fabricate an offset shifter. To make the puzzle pieces fit, we made a rough cut. Later we’ll go back and add a rear flange to the new shifter hole. We wanted our swap to fit under the stock bonnet, so we double-checked the fit once the engine was in place. 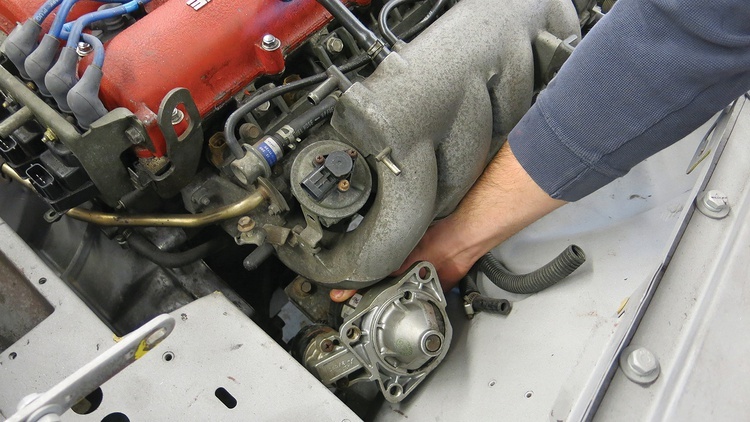 An often overlooked step in an engine swap is leaving room to perform service in the future. We made sure we could remove and replace the oil filter, starter and several other components while the new engine was in position. 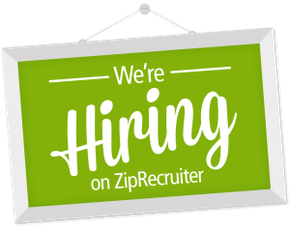 We’ve seen swaps where these tasks aren’t possible without unbolting or otherwise moving the engine. Why turn a swap into a headache? We checked and rechecked all of our measurements, clearances, angles, component removal spaces, shifter placement and so on. Now that we’re satisfied the engine is in the right place, in the next installment we’ll start making our new mounts. Not only will we show you how we pattern, cut and piece together these new mounts, but we’ll also discuss the math we use to choose the size and thickness of our pieces. Remember, it’s these details that separate a fun, finished engine swap project from one that clogs up your garage. I think that is an excellent choice for a swap. If things would have been different at Leyland they could have gone with a similar engine and kept building them for at least another five years. I built mine a little different and used an old Big Block Chevy that I had laying around for 30 years. I should have left it laying as it blew up shortly after this picture was taken! It really was a lot of engine for that car but it was fun while it lasted! It now has a little 350 Chevy in it and the engine bay looks positively huge in comparison. I've bought another Big Block but I'm in no hurry to install it as it really is a lot nicer to drive with the small block. Bill Cosby's description of his first ride in his King Cobra pretty much sums it up. The engine was so loud that I couldn't tell that the engine was in destruct mode. I thought a rocker had came loose or something. 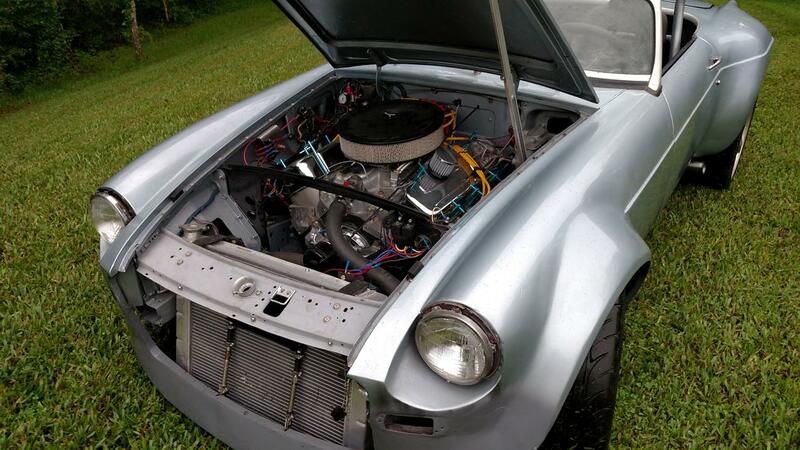 This car has a C4 front frame clip merged into the MGB tub. It really doesn't feel very front heavy but some of that is because of the late model GTO IRS. 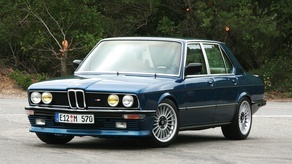 A few of us have been mounting Ford 302 motors in BMW sports sedan chassis. In setting up my motor mounts, I focused on getting the engine block bolt holes pretty much directly above the chassis mounting points. Others focused on getting the motor down and back as far as they could, and still more or less fit the tunnel. That put the mounting bolts a few inches rearward of the chassis mounting points. Seemed like no problem to build the brackets a little longer to bridge the gap. But apparently the length is acting like a lever trying to jack around the mounting bolts. In practice, the guys that took this approach have been breaking the mounting studs off their motor mounts, often enough that it's part of their periodic pre-autocross equipment check. It really stinks to lift the motor, get a puller tap in there to pull the broken bolt out of the block, and put in another mount. I wish i had reread this article before starting in the 3400 swap in the miata. However, had i planned better i don't think i would have done it. So sometimes, for some people, NOT planning and thinking ahead works better. By the way, dont take my approach. Its a lot of unnecessary work and aggravation.